According to Monsignor Philbert Aikambe, extreme poverty is the biggest obstacle young people face in answering their call to the priesthood or religious life. Monsignor Philbert is the rector of a regional seminary in Tanzania which serves 23 dioceses in this East African nation. 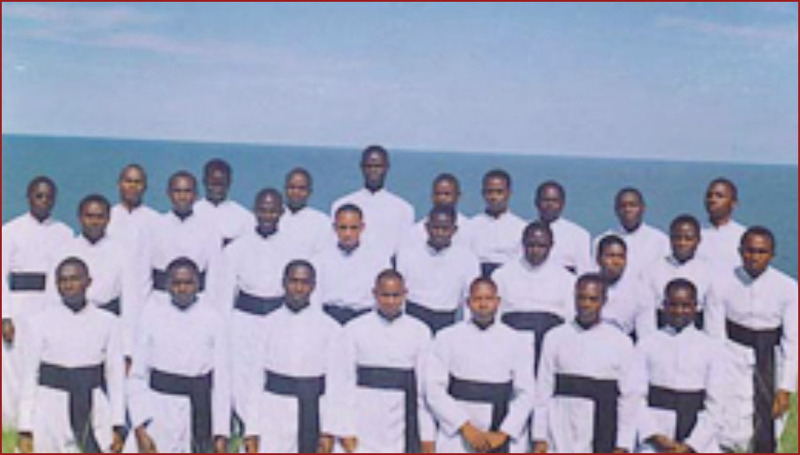 Monsignor Philbert notes that without the prayerful and financial support of the faithful to the Society of St. Peter Apostle, the education of priests in his country would be virtually impossible. Recently, the seminarians collected clothes, unused pieces of soap, paper and even some money they had earned from doing odd jobs and donated these to orphaned children living near the seminary. They also helped these children to cultivate small pieces of land near their homes so they could grow bananas. “Our seminarians are truly learning the practical meaning of the Beatitudes and putting that knowledge into practice. I know they will become good priests because they understand the plight of the poor, just as Christ did,” said Monsignor Philbert. Makadani explained that the faith in Zambia is the “fruit” of the seeds of faith first planted in his country some 100 years ago by Catholic missionaries. “It is gratifying to see that there are many young people aspiring to be priests and religious,” he said. “We thank the solidarity of the universal Church for walking with us in training these young men.